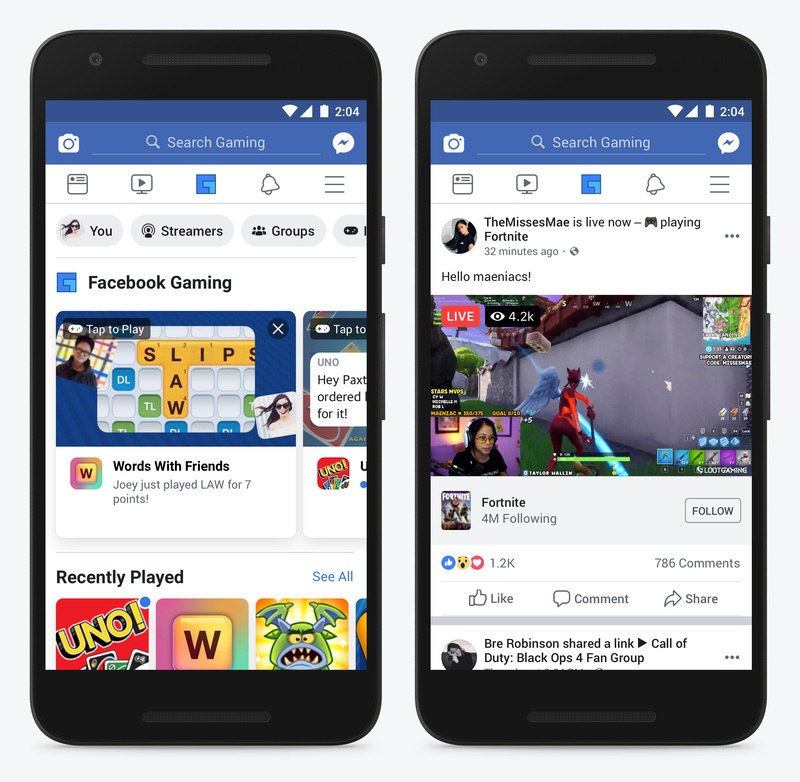 Facebook just made a new play today in an attempt to siphon off some of YouTube and Twitch’s audiences by introducing a new Gaming tab to their site. The company added the function as well as sent out a post on their gaming page showing the functionality and tools you can use on it. The gist of it is that they want you streaming your games more on their video platform more than the others, which is pretty much the pitch everyone else with a streaming platform has, only this one has a direct connection to your social media numbers on Facebook. Feel free to use it if you’d like, but they got a long road to go to even get on Mixer’s level, let alone YouTube or Twitch. Play games: Play your favorite Instant Games and find new ones to enjoy with friends. The Facebook Gaming tab will become the primary home for Instant Games on Facebook, and we’re building new ways for people to invite friends, chat, and play together inside the tab. Watch gaming videos: Find and follow videos from top streamers, esports organizations and game publishers. Over time, we’ll recommend and help you discover new streamers based on the games and content you follow.